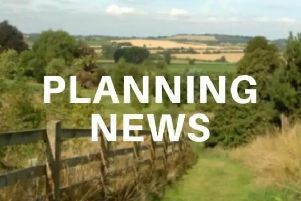 A candidate standing in the Daventry local elections has called for cross-party support for a new professional park service in the town. Tim Wilson made headlines last week after stepping down as UKIP’s parliamentary candidate for Northamptonshire South after comments made by the party’s only Scottish MEP about a Scottish government minister. Now Mr Wilson, who is standing as an independent candidate for Drayton ward said the existing service provided by contractors Amey on behalf of Daventry District Council (DDC) is not fit for purpose and he intends to seek allies in creating a new professional park service to “restore dignity” in Daventry. Mr Wilson said: “Some of what I have seen is dangerous and ugly. In many play areas tarmac is peeling up, there are parts of the pavements overgrown by trees and bushes. “It costs far too much money for outsourcing this work and that is not properly landscaped. Mr Wilson was critical of the quality of work carried out by contractors which he put down to “a lack of care and of training”. Additional benefits of a park service include being able to offer a range of apprenticeships and a new emphasis on conservation and expansion of green areas. Mr Wilson said he would be continuing to work with UKIP Cllr Sean Connors and that, with enough support in the council chamber, a professional park service could be achieved in three to four years. Labour’s Cllr Wendy Randall, who has been outspoken on environment issues in the town said: “I would support something like this but I would like to see each area of the town have a contractor responsible for that area. “I would like to see the town council take over the responsible of looking after this service. DDC’s current seven year contract with Amey is due to expire in 2018. It is not known if the council intends to renew the service.